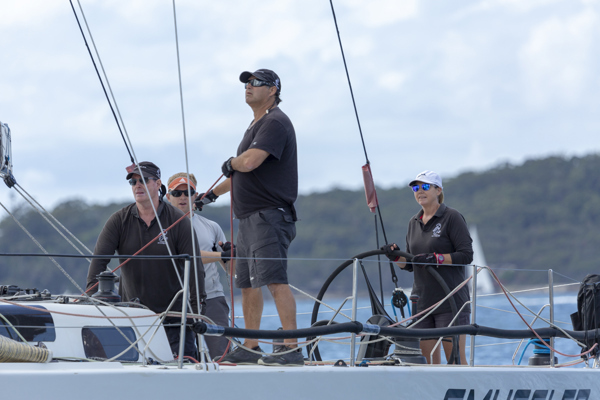 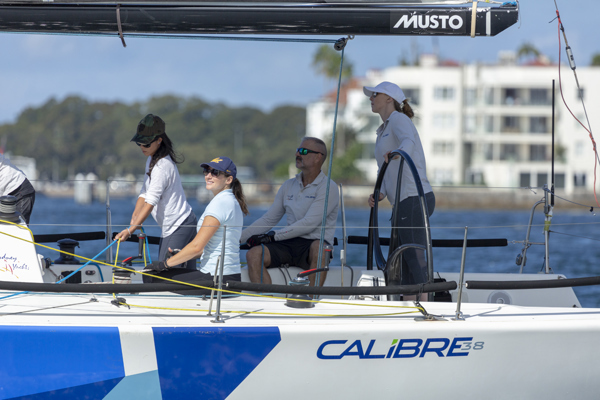 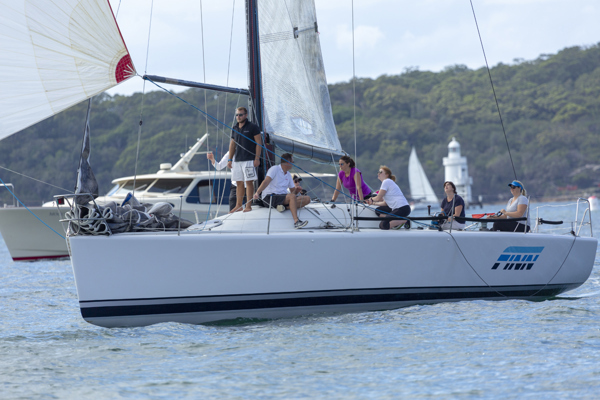 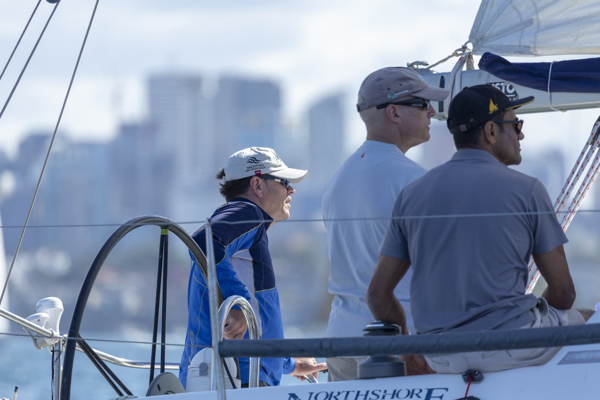 Even thought the weather has not been showing it, this weekend was the opener for the winter sailing season with the Audi Centre Sydney Ladies Day Race 1. 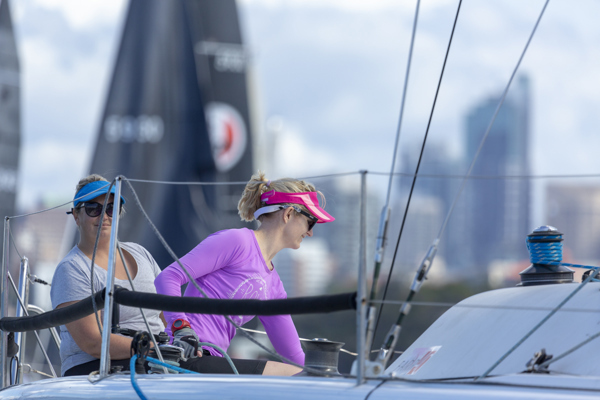 The Ladies Day Series will consist of three races spread throughout the season. 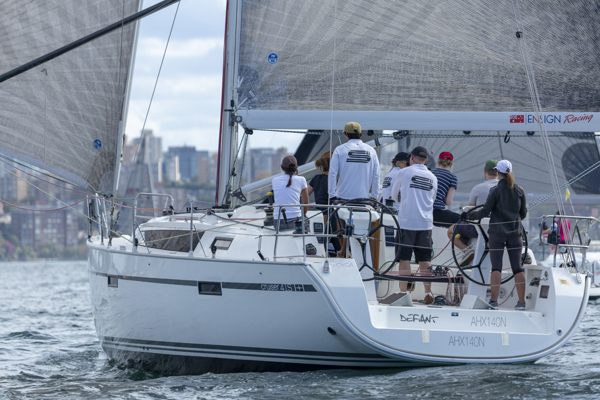 First being the season opener, second on the Queens Birthday long weekend and the final being the closing weekend of the season. 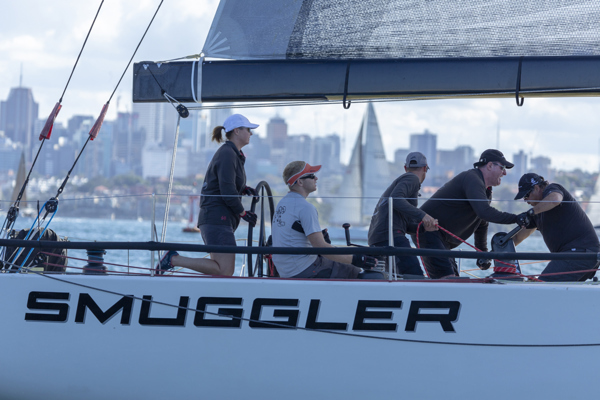 With the only requirement for entering the racing that there has to be a female skipper it means that there can be a mix of crews and even some male members with some disguises brought out for the occasion. 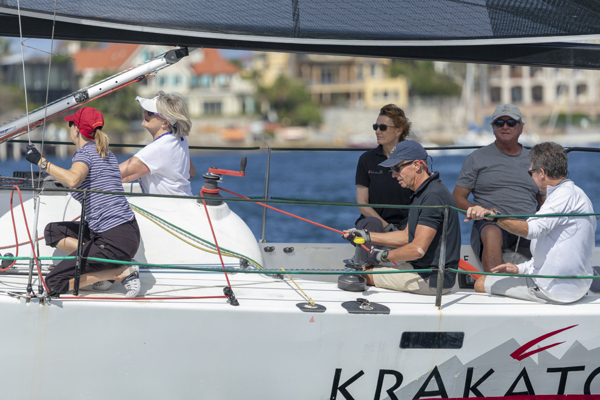 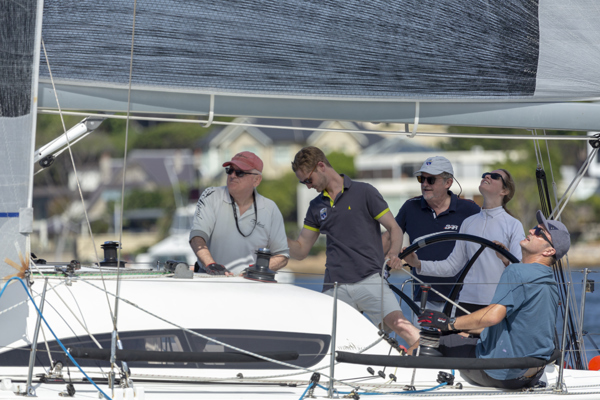 The first Ladies Day race was greeted with warm, sunny but also tricky conditions with 8-10 knots sending the competitors on a full course around the harbour. 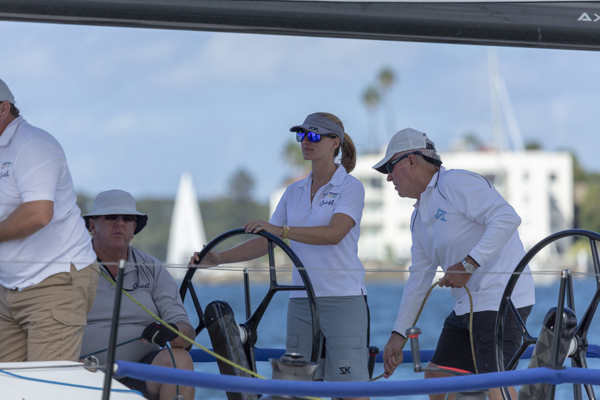 With the moderate wind, it meant that there were many tactical decisions to be made with gains and losses being felt throughout the whole fleet. 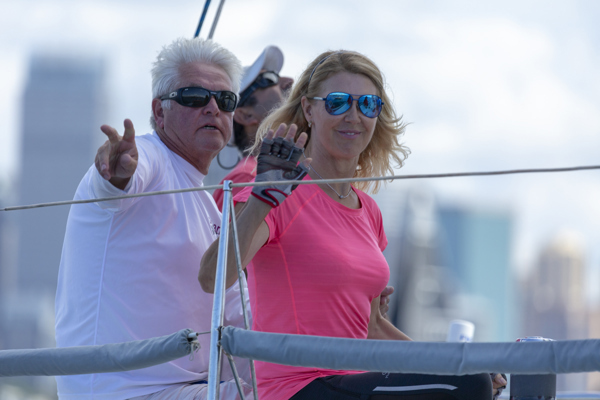 In the spinnaker division Janey Treleaven onboard her Farr40 Finn was able to take the win in Div 1 with a majority female crew. 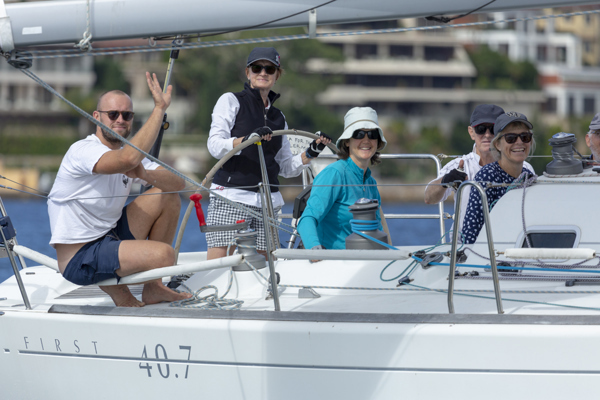 For Janey and her team it is a great start to a season of learning and training, before heading towards the competitive one design Farr40 class next summer with a predominantly female crew. 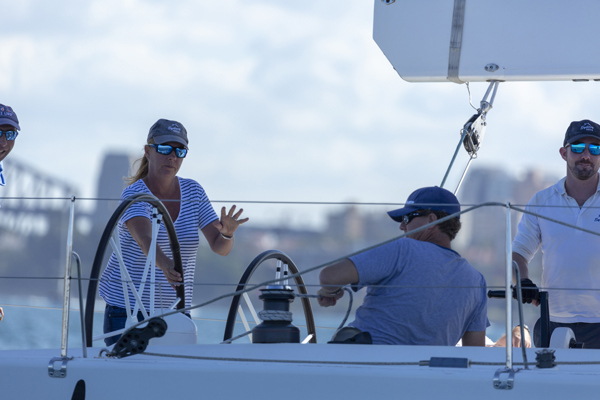 Even with the tricky conditions there was no margin for error with only 34 seconds separating Janey and her team on Finn with second place Quest, skippered by Michelle Mrjden. 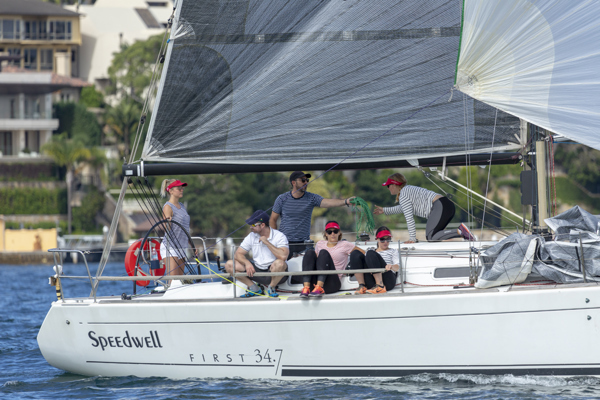 In Div 2 Melissa Geeves on Speedwell was victorious ahead on Susan Hardy on Clewless and Stephanie Cook on MortgageChoice Rumba. 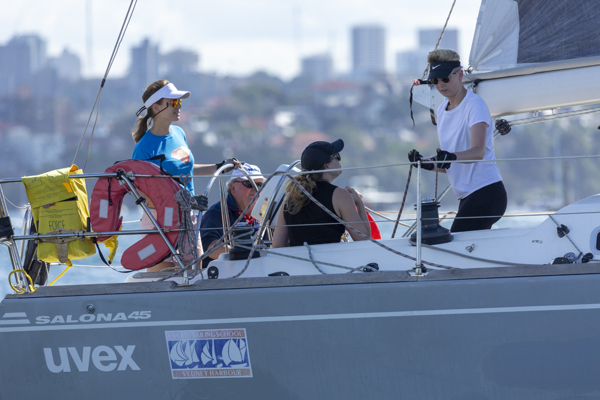 Non spinnaker saw Mary King on Solymar take out Div 1 ahead of Noni Stuart on Highfield Caringbah and Victoria Kellett on Sydney. 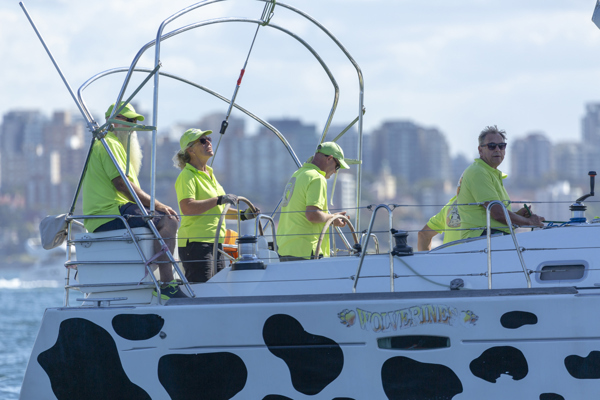 Div 2 had Eli Wallis on L'Attitude on top ahead of Herman Heiligers Hubcap2 and Kim Clinton on Holy Cow! 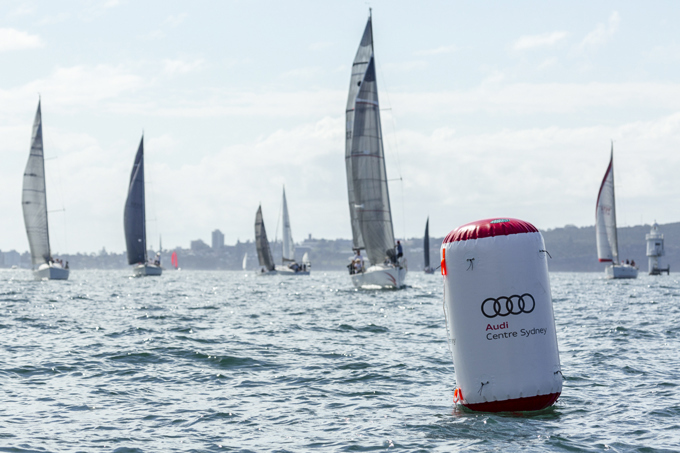 Next week will hopefully see more spectacular Sydney winter conditions with Race 1 of the Audi Centre Sydney Winter Series.